bandv enjoys a mutually beneficial relationship with the Stannah Group of companies (Lifts Limited, Lift Services and Stairlifts), delivering results-geared marketing for over 30 years – from bespoke websites, SEO and PPC to design, PR, copywriting and production. So it was with great delight that, in 2011, we joined forces with leading international stairlift company, Stannah Stairlifts, to produce a dedicated magazine, aimed at Stannah stairlift owners throughout the UK. To research, write, design and distribute a free, bi-annual magazine that would encourage Stannah brand advocacy by engaging its readers, making them feel valued members of the Stannah family, and generating positive feedback, including insight on mobility concerns and how to improve products and services. Many hands to the pump for this one: research, copywriting, design, production, distribution, and shedloads of admin to manage the ever-shuffling database. The format is consistent and comprises welcoming letters from senior Stannah personnel, readers’ letters, company news, mobility matters, items of general interest and amusement, and pencil-biting brain-botherers. Readers are encouraged to respond and contribute, with their efforts rewarded with free gifts such as visits, teas, DVDs, books, vouchers, hampers, flowers and quality tipples – a prolific list to cater for all tastes. "Although the production is overseen by the UK marketing department it is put together for us by bandv, our Group PR agency who have worked with Stannah for many years. As soon as one edition goes out, the whole team starts working on ideas for the next edition. We start receiving replies from readers almost immediately and log all their responses. Proofreading takes several weeks, and ensuring that the database of customers is up to date is a major task requiring the help of a data cleaning company. Lots of decisions need to be made on things like images, cartoons and articles to include. There is one final meeting just prior to issue going out where the UK marketing team get together with bandv and read through the printer's proofs for the last time. Once that's done everyone breathes a huge sigh of relief, the magazines are printed and we look forward to hearing from our customers again." Six years in and StannahTalk is thriving. Its readers enjoy a twice-yearly free read that keeps them informed, involved and entertained. In return, these readers have become true brand assets, advocating on Stannah’s behalf in their thousands. Marketing mission accomplished: StannahTalk is on target – achieving exactly what’s required of it, with the facts and figures to endorse this, e.g: a response rate that rose by 80% over several issues. 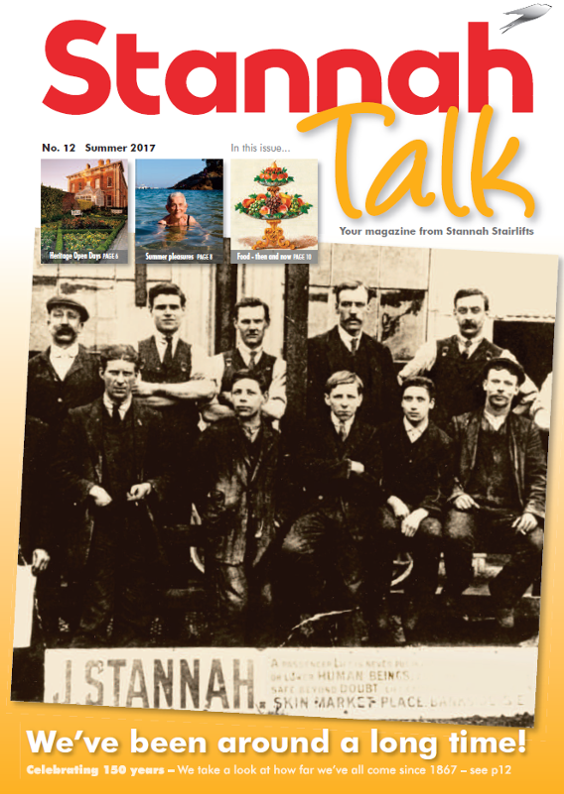 StannahTalk is a prime example of interfusing traditional outbound marketing with the digital lodestar of inbound marketing – a physical, printed publication distributed via surface mail, but boosted by bandv using digital channels such as blogs and social media, complete with online page-turners. "bandv is a great creative partner for us on StannahTalk and make the whole process of producing a quality customer magazine that is welcomed by our clients a really easy, enjoyable process. They understand what interests our customers and we are happy for them to take the lead on this project, knowing they will deliver first class output."